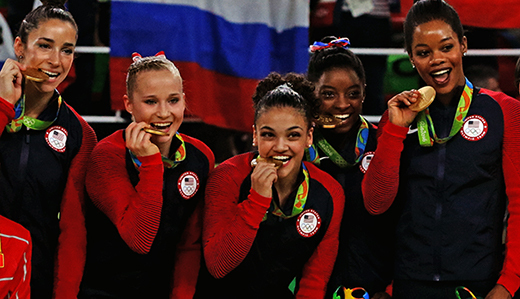 Senator Samuel Thompson (R-Burlington, Middlesex, Monmouth, Ocean) announced plans to introduce legislation to exclude the rewards an athlete earns by winning an Olympic Medal from their state income taxes. Senator Sam Thompson (R-12), a member of the Senate Budget & Appropriations Committee, has introduced legislation to provide a permanent, stable source of funding for New Jersey’s Transportation Trust Fund (TTF). The TTF, which funds transportation infrastructure projects in the state, will soon lack the resources to pay for new projects. Unlike other proposals that would only serve as a short-term solution to TTF refunding for seven or ten years, Thompson’s proposal, S-2352, provides a permanent solution. 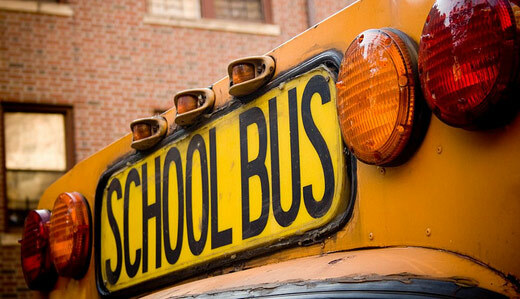 Legislation sponsored by Senator Sam Thompson (R-12) requiring new school buses to be equipped with three-point lap and shoulder seat belts was approved by the Senate Education Committee. Legislators and the Asbury Park Press in recent weeks have called for a greater transparent comparative analysis of the success of New Jersey’s tax incentive and economic development programs. I agree that there is a fiscal responsibility to review the cost and success of the state’s economic and business development programs and believe it’s equally important that there be greater analysis of how New Jersey’s incentives, taxes and business policies stack up against competing states. 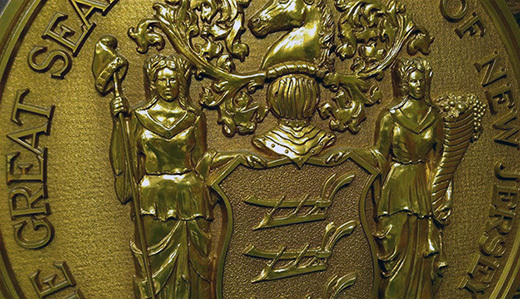 The Legislature has the opportunity to achieve these goals by passing Senate Republican solutions to ensure proper scrutiny and analysis of New Jersey’s tax policies, incentive programs and overall business climate. The Senate Republican leadership team recently culminated the rollout of a 36-bill economic growth and job creation bill package, including a series of bills to increase the employment and economic development data that’s available to state policy makers. None of these bills will cost taxpayers any extra money. 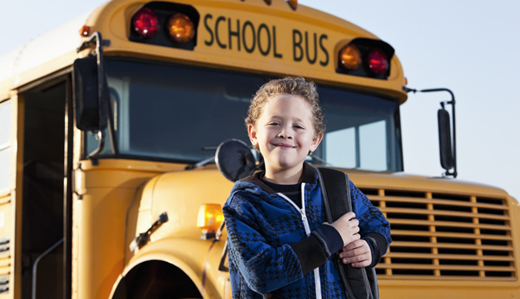 Senator Sam Thompson (R-12) is calling on Senate Democrat leaders to finally address legislation to give children the same lifesaving protections on school buses that are now afforded in family cars via Senate Democrat Jim Beach’s new law. 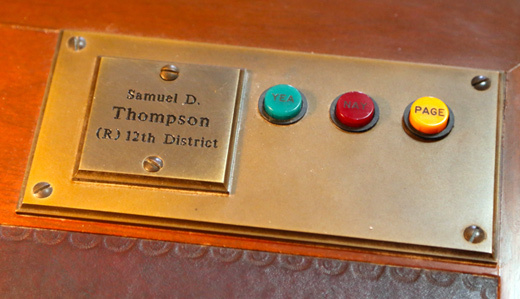 While Senator Thompson applauds the signing of Beach’s S-2026 — a bipartisan measure that Thompson voted for to modernize child safety belt laws in passenger vehicles — he questions why Democrats have denied a vote on S-632 to similarly implement the American Academy of Pediatrics’ recommendations for children riding in school buses. Editorial writers, Democrats and others have reported Gov. Chris Christie has set a record with the number of bills he has vetoed and have continuously asserted that Republican members of the Legislature are spineless, intimidated cowards because, despite 50 veto override attempts, they have never provided the votes for a single veto override. A historical review of records of gubernatorial vetoes and veto override attempts belies both of these statements. However, it also reveals the most significant and record-making number usually cited is actually the 50 override attempts. This is truly a record for the last 60 years. As our communities grow concerned over yet another New Jersey school bus crash, I am trying to do everything possible to ensure the passage of legislation to keep our children secure and safe every time they step onto a school bus. 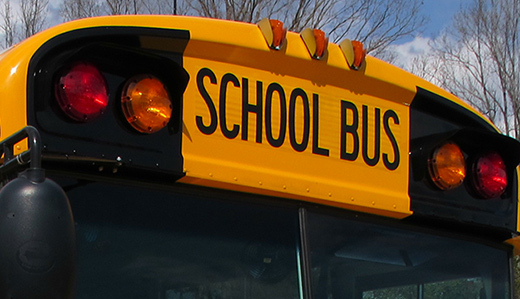 In 2013, I introduced S632, which would require all new school buses to include three-point lap and shoulder belts, following school bus crashes in Chesterfield and a pair in Old Bridge, and others more recently in Bergen and Mercer counties. On March 9, a school bus was struck from behind by another vehicle in Lumberton (“School bus turns over in Lumberton,” March 9, nj.com), flipping the bus onto its side, reportedly injuring one of the three students who were on board. It is clear that children in school buses are in no way immune to dangers of the road faced by all other motorists and passengers and that our next generation must have the same protections no matter what vehicle they are traveling in. Senator Sam Thompson (R-12) and Senator Ron Rice (D-28) renewed their call for the New Jersey Legislative Select Committee on Investigation (SCI) to launch an inquiry into abuses of government power and cover-ups at the Newark Watershed Conservation and Development Corporation (NWCDC). 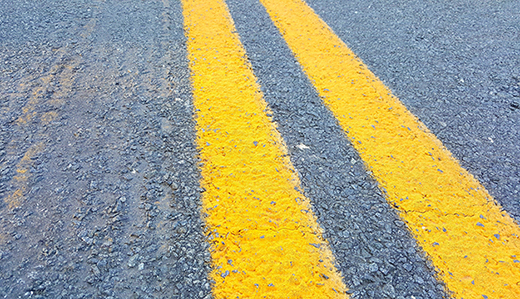 Senator Sam Thompson (R-12) said that the New Jersey Senate is sending conflicting messages regarding its concern for the safety of children riding on Garden State roads and highways. The Senator commended the Law & Public Safety Committee’s passage of legislation (S-2026) sponsored by Senator James Beach (D-6) that updates state laws regarding the use of child safety seats in passenger vehicles to match current recommendations from the American Academy of Pediatrics (AAP), but questioned the Senate Education Committee’s refusal to hear similar legislation (S-632) that addresses the AAP’s recommendations regarding the need for seat belts in school buses. Senator Sam Thompson and Assemblyman Ron Dancer, both R-Ocean, Monmouth, Burlington and Middlesex, attended and participated in a news conference outside the main gate to Fort Dix of the Joint Base McGuire-Dix-Lakehurst in Wrightstown. The legislators lauded that portion of the Fiscal 2015 budget which includes $200,000 in funding to protect the base and Picatinny Arsenal from potential cuts or closure by the Department of Defense (DOD). 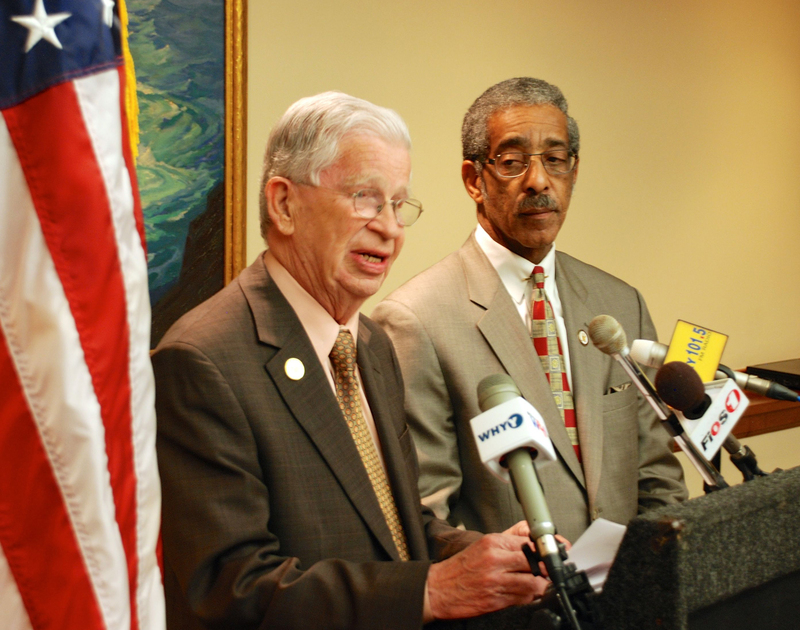 Thompson and Dancer were sponsors of the budget initiative.